Colonial homes are some of the most popular in North America. The style is most commonly found in the United States, but Canada has its fair share of Colonial-inspired homes as well. Colonial homes evolved from European influences, with each region of the US adding their own tweaks. As the name implies, Colonial-style homes developed during the colonial period. Colonist from Europe settled along the Eastern coast and built homes that later became known as the Colonial style. This is also why Colonial homes are most popular in the North Eastern region of the US. There are actually sub-styles of Colonial homes, reflecting the architectural traditions of the colonial powers that controlled the region. For example, homes in Louisiana were identified as French Colonial. 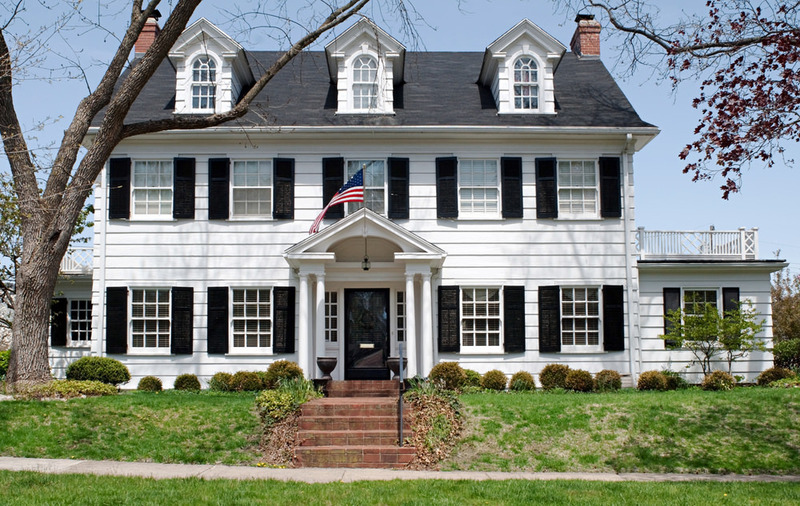 The main subtypes of Colonial homes are French Colonial, Spanish Colonial, Dutch Colonial, German Colonial, Mid-Atlantic Colonial, and Colonial Georgian. Colonial homes come in many sizes, but they’re known for their symmetry. Exteriors are often square, with symmetrical details such as two windows on the sides of the front door. Pair chimneys and a medium pitched roof are also common. An easy way to tell a Colonial home from the exterior is to look for simple, symmetrical geometric lines. Color schemes are kept mainly neutral, but they are known to have more decorative entrances. It’s not uncommon to see Greek-style columns on the front of Colonial homes as well. Colonial style homes have very simple layouts. While many people have opted to open up their floor plans, this style of home traditionally had a more formal closed off floor plan. There were defined living rooms and dining rooms. Bedrooms are almost always located on the second floor. A common layout for Colonial homes is four rooms on the main level and four rooms on the top. Today that has evolved, but the basic layout and flow of the home remain the same. Symmetry is by far the most important element in Colonial homes. All elements in a Colonial home reflect this from the double chimney to the evenly laid out gridded windows. 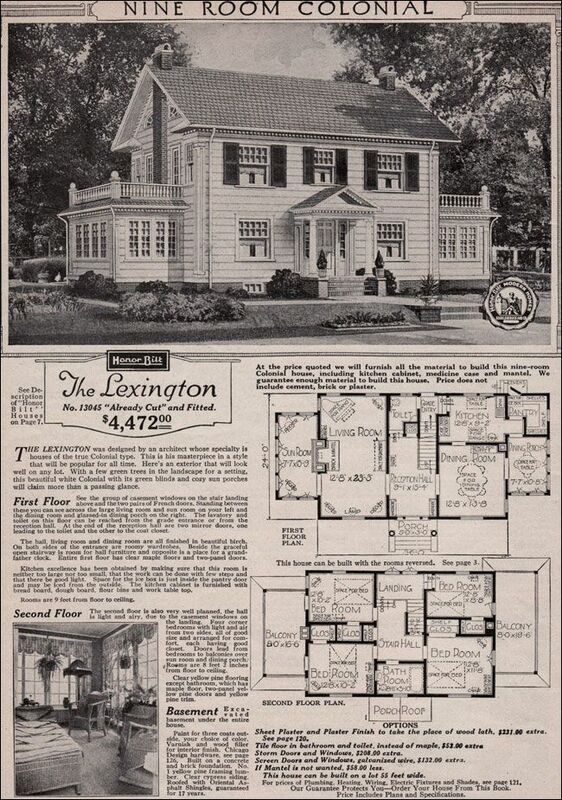 Décor wise, Colonial homes ranged from formal to casual depending on the era and location. Most homes used soft colors, rustic elements such as woodwork, and arches. White trim, which is the most common color today, got its roots in Colonial homes. The public spaces such as dining and living rooms are important to Colonial homes. This is where the detailed woodwork and arches would be found. Colonial homes often have gorgeous large brick fireplaces in these rooms as well. Whether someone goes for a more formal style or a more casual one, these two rooms are where that style would shine. Colonial homes have a long history and they aren’t going away any time soon. The simple symmetrical architecture is classic. These make great family homes thanks to their spacious well laid out floor plans. 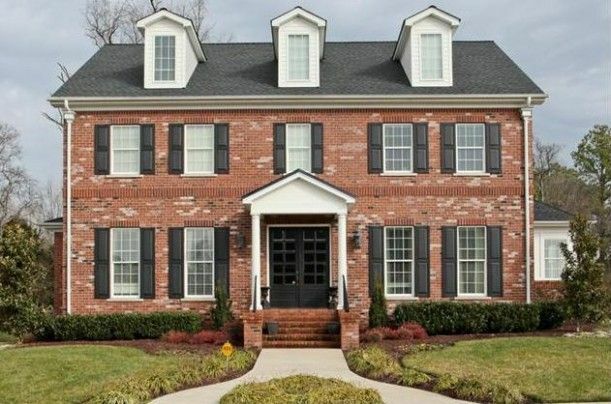 If you’re looking to build a custom Colonial home, remember to focus on symmetry, simple lines, and a classic color scheme. Feel free to contact us to get building your dream Colonial home today!